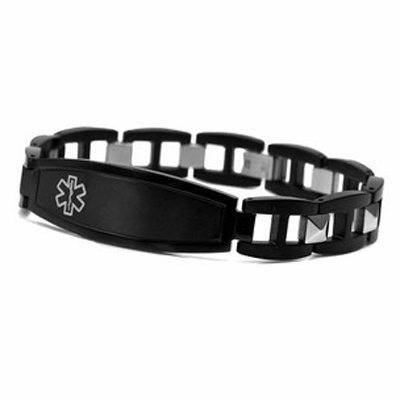 Cool looking and discreet with a lighter contrasting medical caduceus symbol to suit your style. Black plated stainless steel links durable for everyday wear. No further discounts available on this product.